Independent Sen. Angus King received the support Friday of two former prominent Maine U.S. senators from opposing parties. Former Senate Majority Leader George Mitchell, a Democrat, and former GOP Sen. and Secretary Of Defense Bill Cohen, said that in an era when Congress is mired in divisive partisan politics, King has demonstrated a desire to reach across the aisle to find consensus. Mitchell said that King's judgment is desperately needed in Washington. 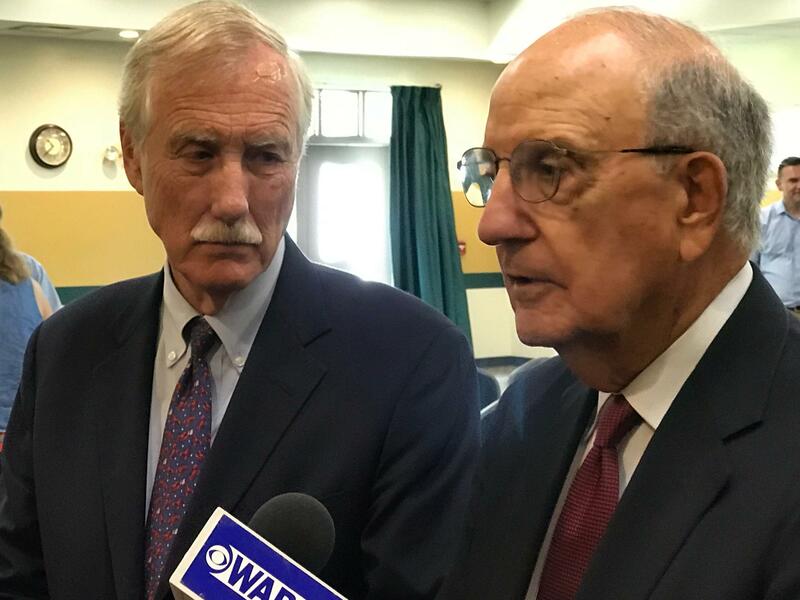 "Never in our history have we needed more at the national level, the kind of common sense that Sen. Angus King has demonstrated in his term in the Senate," Mitchell said. "And so I strongly urge all Maine people to join Bill Cohen and me in supporting Angus King for re-election." Cohen delivered his endorsement of King via a video message. King said that he's grateful for the support. “It's impossible for me to express how much I appreciate George Mitchell and Bill Cohen coming to my aid in this campaign," said King. "It means a tremendous amount to have people I have respected all of my adult life so greatly." As he seeks a second term in November, King faces challenges from GOP state Sen. Eric Brakey, a Republican from Auburn, and educator Zak Ringelstein. a Yarmouth Democrat.